Could Your Marriage Use This Cool Glass Of Water? Does the sound of that give you goosebumps of joy? Or does it make you sigh? Do you find yourself thirsting for more in your marriage? The healthy answer to this question is “Yes”. Because even those couples swimming in pools of marital bliss should be striving to strengthen the bond. And for most of us living in the real world, marriages can have moments when we feel as if we’re in a long, sand-blown journey through the desert. The answer may lie in a tall, cool glass of water. One of most gifted marriage preachers I’ve ever known is a pastor by the name of Ron Wiseman. He and his wife Betty founded a ministry called Enjoying Marriage. They produced a series of relationship building tapes in the early 80’s which are classics. By today’s multimedia-saturated society the videos are a disaster. The lighting is poor, the clothing is antiquated and at times during the filming someone would trip on the camera’s plug causing the frame to jump. But within these precious recordings of the Enjoying Marriage ministry were some profound teachings truly inspired by the Holy Spirit. So much so, that when Ron and Betty tried on a few occasions to re-record the sessions, they never had the same impact. Ron and Betty had so many brilliant, marriage-blessing concepts to share, but one of my favorites was the teaching on the glass of water. It’s a very simple idea. But convicting. Here’s how it goes. One day Ron was getting up from his chair to get himself a glass of water and he thought of something. Why don’t I get a glass for Betty as well? Her response was so positive he decided to commit to doing this, for the rest of his life. Every time he would get himself a glass of water, he would get one for his bride as well. The teaching was that Ron learned to put his wife’s physical, spiritual and mental needs above his own. When he was tired, he thought of what he could do to give Betty rest. When he was feeling spiritually depleted, he tried to find a Bible passage that would inspire Betty. When he felt depressed, he tried to come up with a way to cheer his wife. This is loving your spouse with the sacrificial heart of a servant. And it’s Biblical. I try doing this over and over again and I fail miserably. Because I am fundamentally a selfish person. Perhaps like you. It goes against our human nature to do anything without expecting at least an equal response. And in a profit driven world, we expect more. I constantly find myself devaluing my marriage into a reward-based relationship. This dog ain’t doing tricks without that milk bone in your hand. When I bring home a paycheck, I expect to be respected. When I complement my wife, I want a “thank you” in return. If I am in a good mood, I expect her to be in one as well. What I create with this attitude isn’t a marriage. It’s a business arrangement. It’s Quid Pro Quo. A 50-50 deal. But God doesn’t ask us to give 50% in our marriages, he requires us to give 100%. Do we do this in order to get 100% back from our spouse? No. We do it to please Him. As husbands, God calls us to “love our wives as Christ loves the church.” What did Christ do for us? He laid His life down. He gave everything for us. Even when we didn’t deserve it. What if she doesn’t deserve love? Doesn’t matter. What if he doesn’t deserve respect? Doesn’t matter. When we’re thirsty? Get her a glass of water. Bring him a glass of water. There is great freedom in cutting the cord of expectations in our marriage. You’re no longer serving your spouse to get a response. You’re doing it to please God. And God always responds with delight. The truth is my wife is so much better at this than me. It’s like she’s riding a ten-speed and I’m wobbling around on my unicycle. My wife has a servant’s heart while I am…well, busy being King of the Jungle. This isn’t about working hard at the office, mowing the lawn or washing the car–tasks that we assign ourselves. As a husband, it’s about listening closely to her innermost needs and filling them. The truth is many of us men are relationally lazy. Lie on the couch, pop the potato chip bag open, kind of lazy. And yes…some of the ladies as well. Think you’re the exception? Then try the glass of water trick. Is this concept easy for you? Or like me, is it a real stretch? 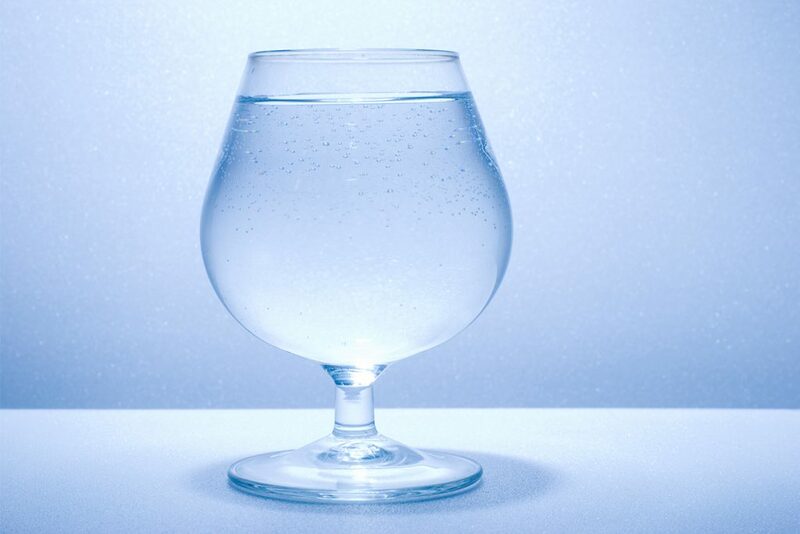 If you manage to master the glass of water trick, then take the next step. Give up the comfortable pillow. The best chair in the living room. Volunteer to watch her movie. Go to his favorite dinner place. Cook when you don’t want to. Clean when you’re exhausted. When this works, and it may take some time, chances are you’ll find yourself in a competition. Who can out serve the other? That’s a good fight for a couple to have. If we take a close look at our marriages, we may discover they have broken down because we stopped getting our spouses a glass of water a long time ago. But that can change. Starting today. Husbands. We ought to be doing it first and doing it well. Because that’s leadership in a marriage. Servant leadership. Will it work? 100% of the time. Because regardless of the outcome, or the response of our spouse, we are pleasing God. And it’s pretty hard to be storing away treasures in Heaven without having a few jewels falling out for us here on Earth. Want to bless your marriage? It starts one sip at a time.